Below is a list of our cake flavours and fillings. This is not an exhaustive list, so please ask if there is something we can create for you. Many people choose to have a different flavour for each tier. All our fondant covered cakes are frosted with a thin layer of chocolate ganache (surrounds the cake under icing for stability and a clean finish). The table above is an industry standard cake-serving chart that is used as a guideline for caterers and reception venues for cutting and serving. Cake slices are 1″ wide x 2″ deep and 4" tall. 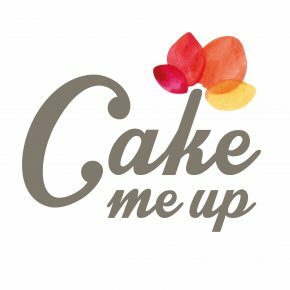 Cake Me Up! cakes are taller than industry standard sizes, usually between 5–5.5" in height per tier, hence you get more cake for your money. It is better to overestimate and have leftover cake than to underestimate and your guests miss out on a slice!